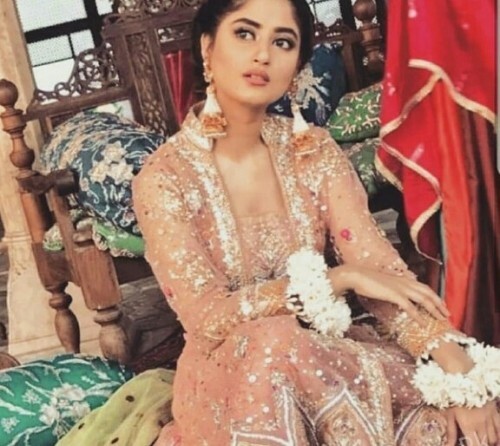 Sajal Aly is the leading and popular Pakistani drama artist and she gained so much popularity over her wonderful and excellent performance. She is included in the most loved faces of Pakistani entertainment industry. At this moment, she is at the peak of her career and her fans want to watch her new coming projects. 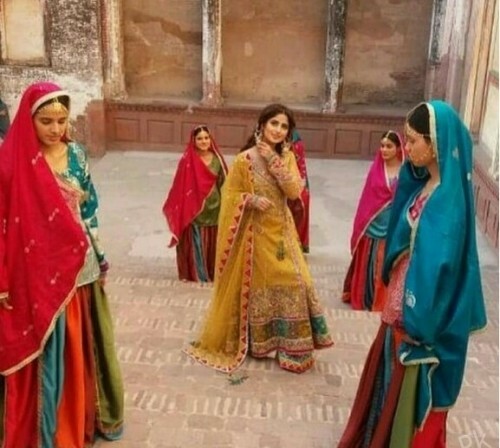 She is all set to appear as Chammi in the new drama, Aangan opposite to Ahad Raza Mir. 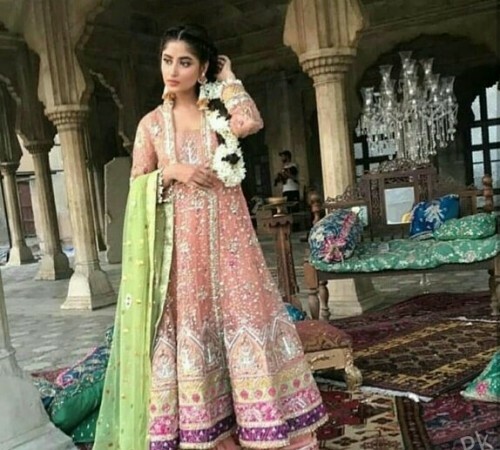 She is going to become lady in another huge project, Alif, which is written by Umera Ahmed and she will appear against Hamza Ali Abbasi. Sajal has performed in a photo shoot for a brand and she is the choice for everyone. She is dressed up in formal wear with her hair styled similar to that of the chammi. 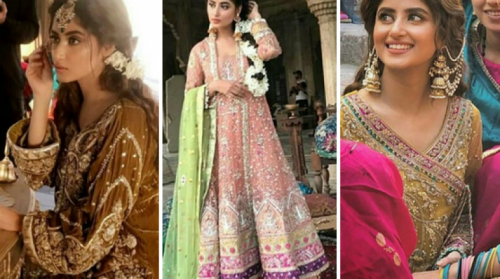 She is dressed up in colorful and heavy dresses and she had the traditional jhumkas. She was looking very beautiful and elegant and she was stealing hearts of other with her latest and wonderful shoot. You can watch BTS pictures from her latest photo shoot.